The opposition hammered the governing Liberals over hospital overcrowding during question period at Queen’s Park Tuesday, hours after an exclusive CBC Toronto story revealed that more than 4,300 patients received care in the hallways of Brampton Civic Hospital last year. 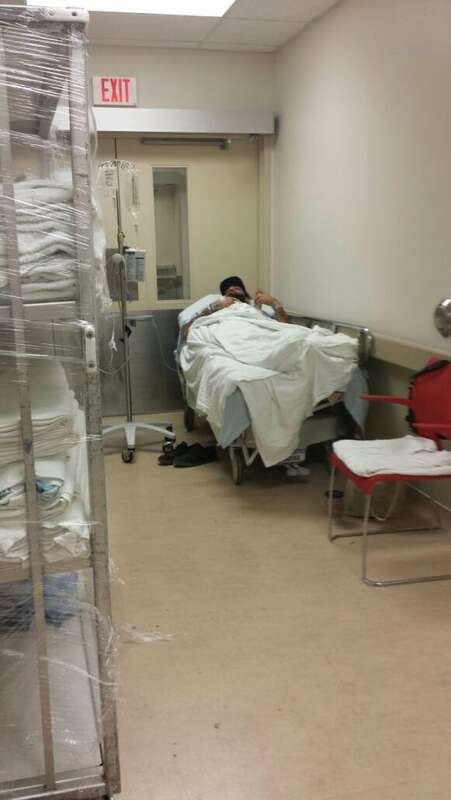 The opposition hammered the governing Liberals over hospital overcrowding during question period at Queen's Park Tuesday, hours after an exclusive CBC Toronto story revealed that more than 4,300 patients received care in the hallways of Brampton Civic Hospital last year. An internal memo, written by a top hospital executive and obtained by CBC Toronto, warns of the potential impact that chronic overcrowding will have on patient care. "Between April 2016 to April 2017 there were 4,352 hallway patients at BCH with significant lengths of stay ranging from 40 to nearly 70 hours," says the briefing note by Joanne Flewelling, the interim CEO of William Osler Health System. It is dated July 20. "Hallway patients experience excessive noise and reduced privacy, which negatively affects their overall patient experience and quality of care, and may extend their overall length of stay." 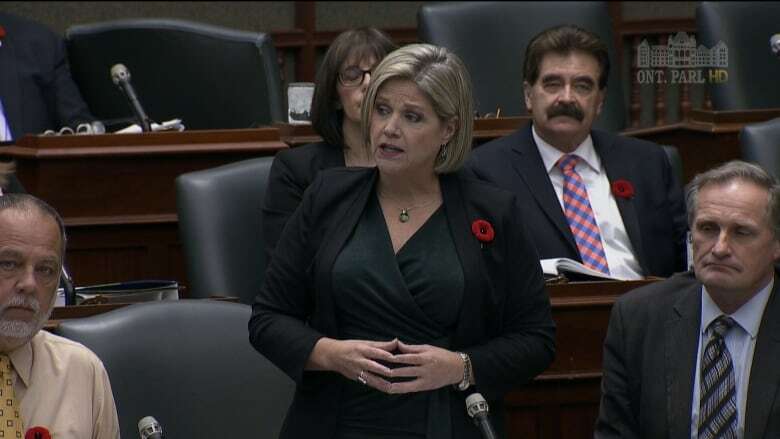 On Tuesday, the NDP and Progressive Conservatives blasted the Wynne government over its handling of the health-care file, accusing it of allowing a "hallway medicine crisis" to develop on its watch. 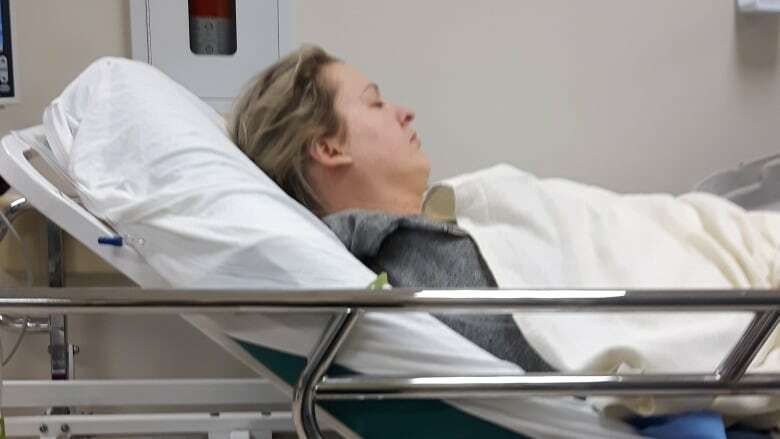 "They do not grasp the severity of the overcrowding and hallway medicine crisis that is inside Ontario's hospitals," NDP leader Andrea Horwath said, noting that her party has spent months warning of overcrowding at dozens of Ontario hospitals. "Why did the premier and the Liberal government allow this crisis in our hospitals to happen?" 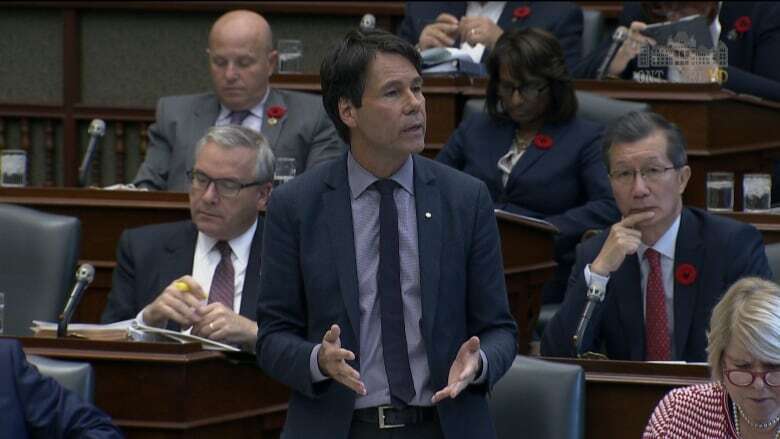 Health Minister Eric Hoskins responded by noting that the Liberals increased capacity at Ontario hospitals by adding over 1,000 inpatient beds across the province over the last four years, and have made 600 transitional care spaces available. Six more inpatient beds have been allocated to Brampton Civic. "How are six beds supposed to fix a crisis that is hurting 4,352 people in Brampton each and every year?" Horwath thundered. Hoskins responded by saying that dozens more beds that will be added to the system have yet to be allocated, and will be according to which facilities are facing overcrowding challenges. "With 1,000 beds permanently added to the system in the last four years, we are adding the equivalent of six new hospitals," Hoskins said. He also touted recent announcements aimed at keeping hospitals open in Welland and Niagara, and a pledge for a new hospital in Windsor. After question period, he also noted the government has pledged an additional $40 million for home care. When asked after question period whether all of the measures combined will get patients out of the hallways at Brampton Civic, Hoskins said "that's certainly the aim." "It's a holistic approach, from the funding perspective, to the new beds, pulling people out of hospital that no longer need acute care … I'm confident that will have the intended impact." On Tuesday, a spokesperson for the William Osler Health System,said officials there continue to "work closely" with the Central West Local Health Integration Network (LHIN), which administers funding to local hospitals on behalf of the provincial Ministry of Health, as well as the ministry itself, "to help address Brampton Civic Hospital's current capacity and access challenges." "At Osler, our team is dedicated to ensure timely access to care within one of the busiest ED environments in Canada," Alineh Haidery, manager of public relations, said in an email statement to CBC Toronto. "Like many Ontario hospitals, Osler hospitals have seen an exceptionally high number of patients in its Emergency Department (ED) over the last number of months, and staff and physicians remain focused on providing safe, quality care during these extremely busy times." Amid news reports of so-called hallway medicine at Brampton Civic earlier this year, administrators blamed "an exceptionally high number of patients" coming to the hospital. However, the memo reveals the overcrowding was not just a short-term crisis prompted by last winter's bad flu season. A chart in the document shows that during every month of the 2016-17 fiscal year, at least 266 patients were admitted to the hallways, peaking at 420 patients in March. The memo was initially obtained by the Ontario NDP, and provided to CBC Toronto on Monday. Brampton Civic declared "Code Gridlock," a strategy when there are no available beds, for 65 days in the first four months of 2017, according to the document. Brampton Civic's emergency department was built to serve 90,000 patients annually but had 138,000 visits in 2016-17. The memo says the opening in February of an urgent care centre in Brampton at the newly built Peel Memorial Centre for Integrated Care and Wellness did not appear to ease the demands. "Given the significant (emergency department) volume pressures, acuity and increased number of resulting hallway patients, quality of patient care and access to services will continue to be impacted," writes Flewelling. The document is addressed to the Central West LHIN, which the William Osler Health System asks for a total of $30.2 million in extra funding for its two Brampton sites: Brampton Civic and Peel Memorial. "Osler continues to experience unprecedented growth resulting in demand for service outpacing available resources," says the briefing note. 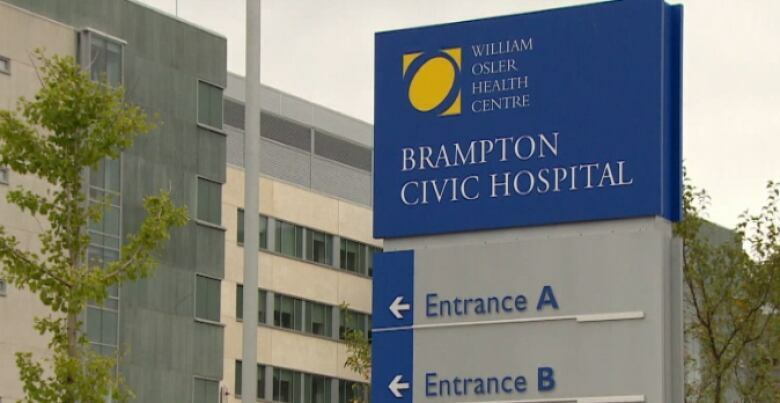 It asks for $8 million more to increase bed capacity for acute care patients and $3 million to open two unstaffed operating rooms at Brampton Civic. It also asks for $14 million to cover the costs of handling some 65,000 patients annually at the Peel Memorial urgent care centre, more than six times as many patients as the current funding allots, as well as $5.2 million for what it calls "funding shortfalls" in mental health beds. Last week, the health minister announced funding for not just the six new beds at Brampton Civic, but also 22 beds at Etobicoke General Hospital, also in the Osler Health System, as part of 2,000 new patient spaces announced to deal with capacity issues across the province. The Ontario Hospital Association reported last month that this summer brought the longest wait times for emergency care in the province since record keeping began nine years ago. It warned that the coming flu season could generate a "capacity crisis" in hospitals if the government did not respond in time. PC MPP Jeff Yurek (Elgin-Middlesex-London) warned that the overcrowding crisis could only worsen. "With flu season around the corner, we're going to start seeing more stories like Brampton Civic's around the province," Yurek said during Tuesday's question period. "My question to the minister: what work is being done to address the alternative level of care issue in order to end hallway medicine?" Hoskins did not address flu season directly, but rather reiterated the opening of transitional beds and investments in home care.